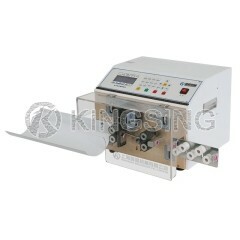 KS-W105 is designed for large wire/cable cutting and stripping up to 16 square meter. 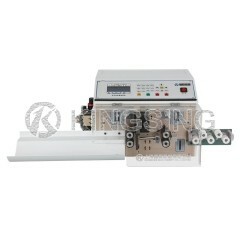 With 99 sets of program storage function, the device can be set up without mechanical adjustment. 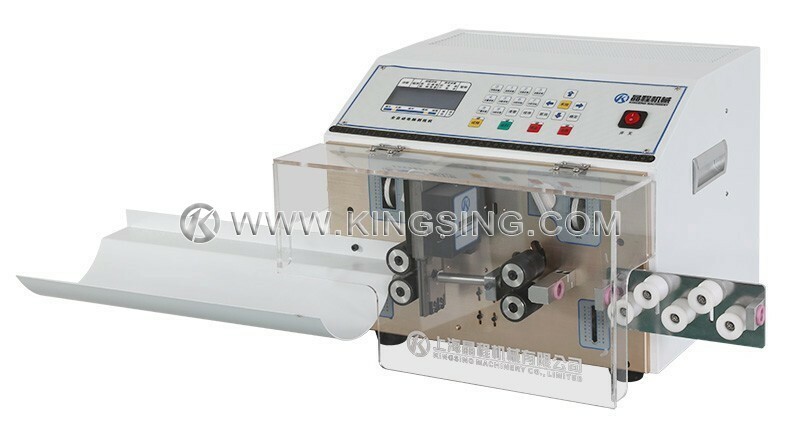 KS-W105 adopted advanced high efficiency step motors, and adjustable pulse value designing, which guaranteed extremely high level of cutting accuracy. 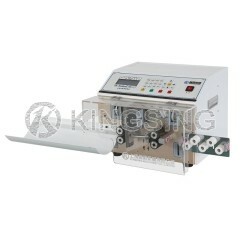 This stripping machine is suitable for different kinds of power cords, thick cables and other electronic wires. 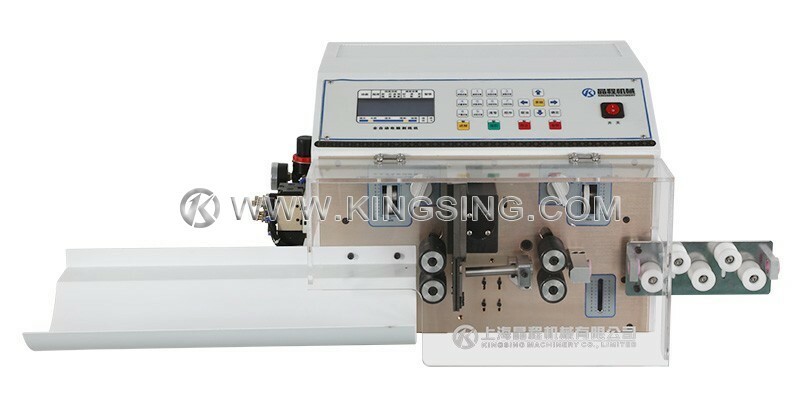 Full-strip, semi-strip and middle strip both available on this machine, in addition, the striping function can be turned off while the cutting function is the only requirement. Made of superior imported tungsten steel, the cutting part is very strong and durable. 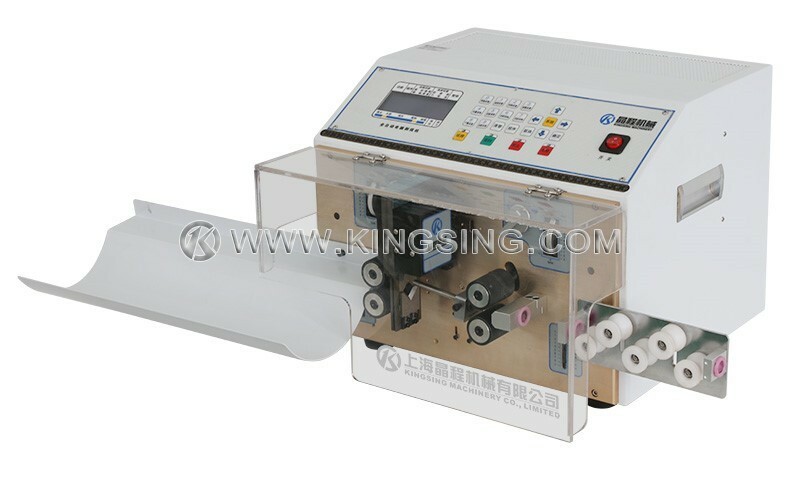 The changeover between different size of wires is very convenient, especially timesaving for those customers who have multiple specification of wires.